This is my second post in the pattern blocks template series. Last week I shared a fun pre-addition game to play with pattern blocks. Today, we are making patterns with pattern blocks. I have several pattern block templates to share today and they are available in color or in black and white. There are four different sets of pattern worksheets and they work well for preschool or even for Kindergarten. The first set includes simple ABAB patterns. 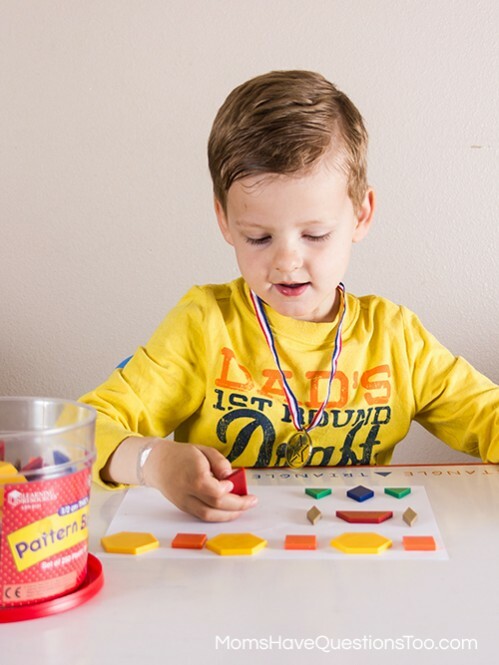 Your child will cover the pattern block template with the correct pattern blocks (I suggest working on only one line at a time), then he or she will complete the pattern with the correct pattern blocks. 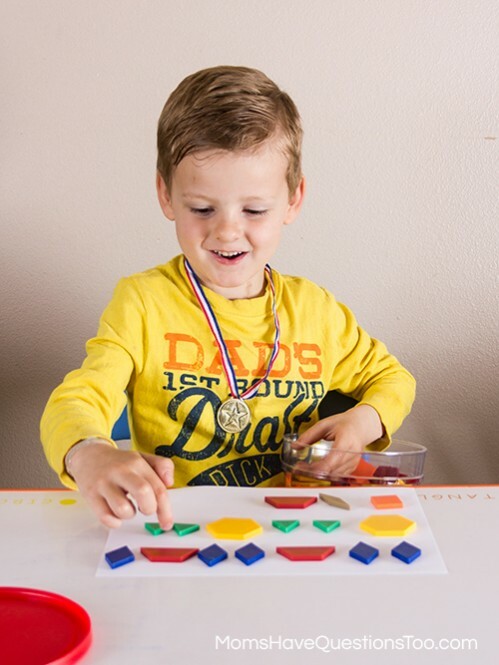 Your preschooler can just go to the end of the page or he or she can continue the pattern even further. 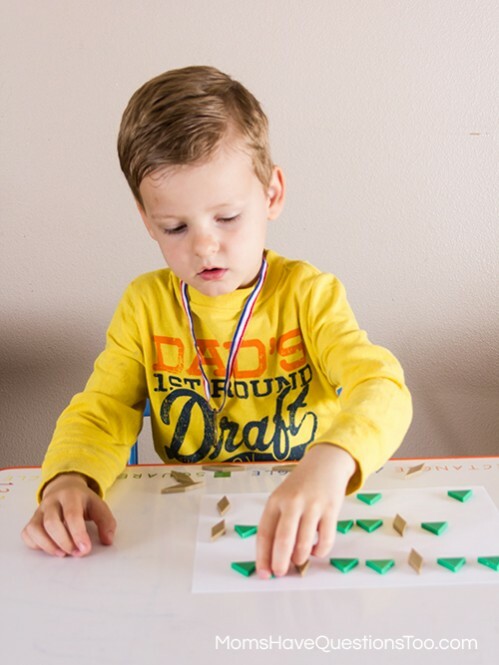 I have been working on patterns with Little Bear for quite awhile now, so I knew simple ABAB patterns wouldn’t keep him busy for long. So, the second set of this free printable uses more complicated patterns such as AAB, ABB, and ABC. Little Bear really liked this second set because it was just the right difficulty for him. Your child will use this second set exactly the same as the first. Doing one row at a time, put the correct pattern blocks on the template, then use the correct pattern blocks to complete the pattern. 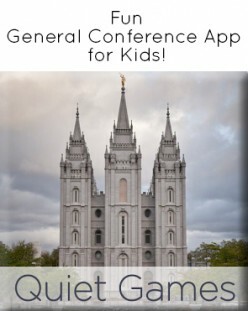 Again, you can have your preschooler or kindergartener go just to the end of the paper, or he or she can go even further. The third set of template for these kindergarten and preschool pattern worksheets are “fill in the pattern” type pages. Little Bear likes this set the very best. Simply cover the shapes with the correct pattern blocks, then go through the whole page and fill in the empty spaces to correctly complete the patterns. I made three of these pages because Little Bear liked them the best. The fourth set is not included in the printable. Just have your child make his own patterns. Little Bear likes this one, but I think he will like it a bit more as he gets older. This is a great activity for Kindergarten. 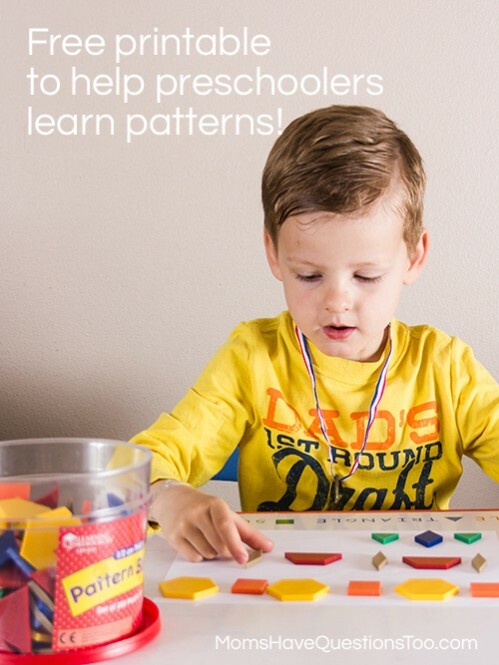 Start by reviewing some patterns with your child or students (ABAB, ABB, ABC, etc). 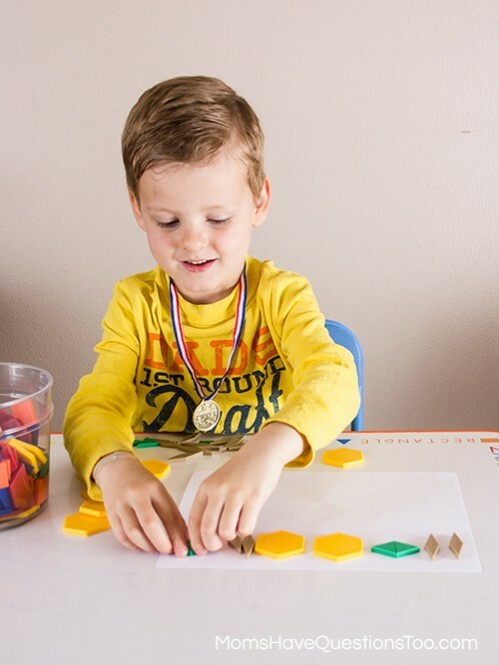 Then, tell your child or students to make their own patterns using whichever pattern blocks they choose. Hopefully these free pattern blocks templates are helpful to you (if you missed the download above, here is the color template and the black and white template). 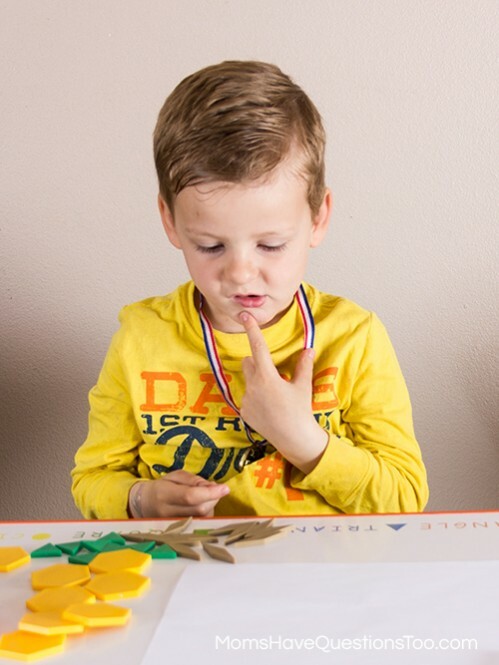 They are a fabulous way to teach patterns, but they also give your child a lot of work with fine motor skills. How do you use pattern blocks?